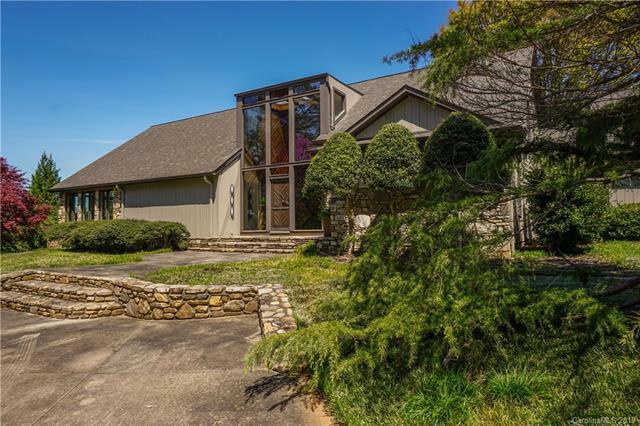 This unique, and meticulously maintained and updated home on almost 5 acres, beautifully landscaped by Greenville landscape architect, Dabney Peeples is stunning. 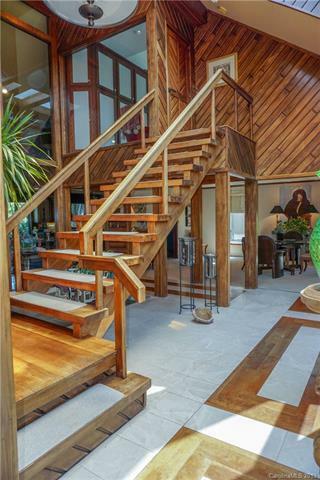 The contemporary, almost 4,000 sq.ft.home, was designed by local architect, Chuck Hamrick. The outside is shiplapped Western white cedar with stone walls and planters. 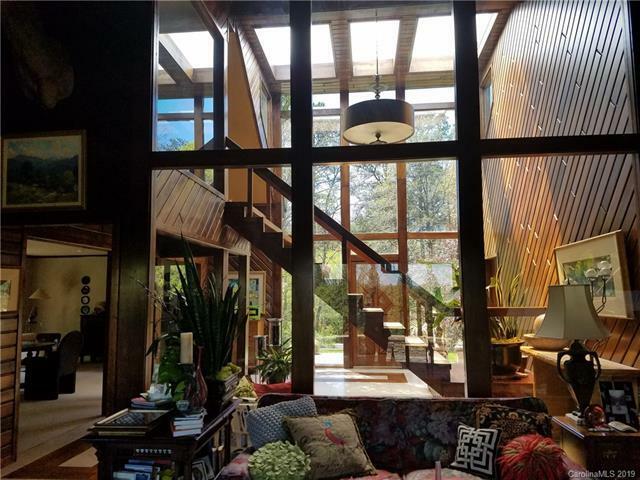 The open floor plan with walls of windows includes hand-milled, local cherry paneling and cherry floors inlaid with travertine. The kitchen has cherry cabinets designed and made by Henry Cassidy, with granite counter tops made from Brazilian slabs. Included is a Thermador floor vented gas range with grill, convection oven, refrigerator, trash compactor and large windows overlooking the back yard and terrace. 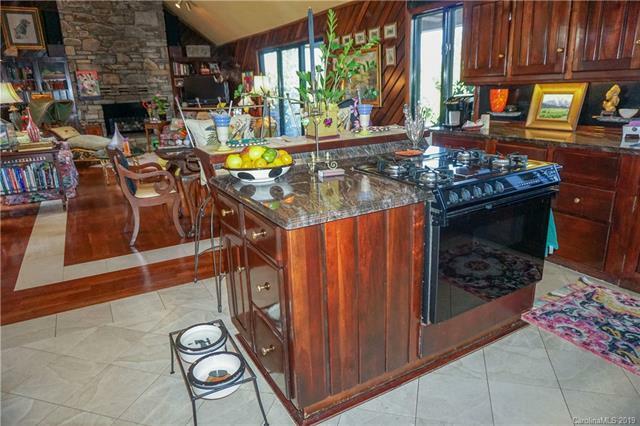 The kitchen flows into the great room whose centerpiece is a 20 ft. stone fireplace with a raised hearth. The great room opens onto the covered terrace made of rectilinear flagstone and surrounded by low stone walls which look across the pool.